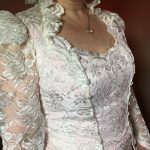 Linda’s Gown shows how a vintage dress < this is a TAV Creations piece from the mid 90s for an old west theme wedding> can be re-fit into a different size while maintaining most of the original look. 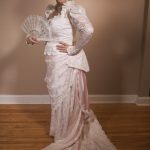 The size modifications included creating a new bodice from part of the original train, attaching it to the overskirt, creating one solid dress with straps that allow for a regular bra. 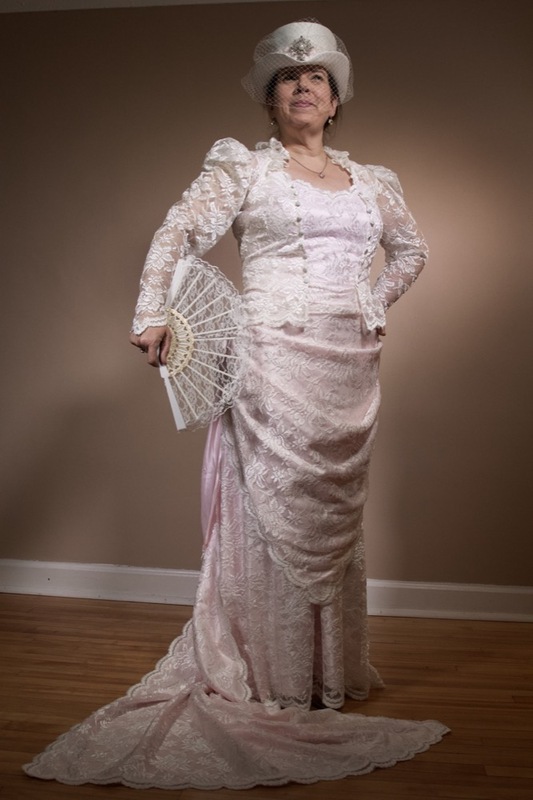 The lace trim was reapplied with pearl detailing to continue the original feeling. 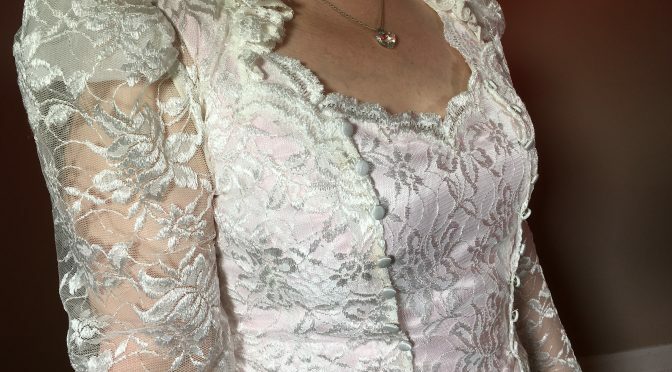 The over jacket was slightly modified to change up the closure in front, keeping the essence of the button detailing and changing the sleeve fit slightly, again maintaining the button closure at the wrist. The train was re-finished at a shortened length, still detachable for dancing later. 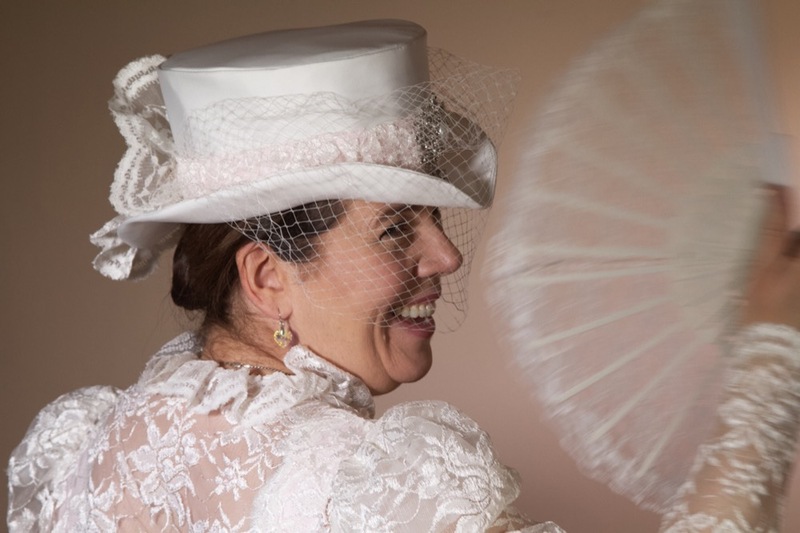 This satin top hat nods gently to the original theme of an old west wedding, while also blowing a kiss to today’s steampunk themes, and allowing for the addition of the “old/Borrowed” broach detailing.